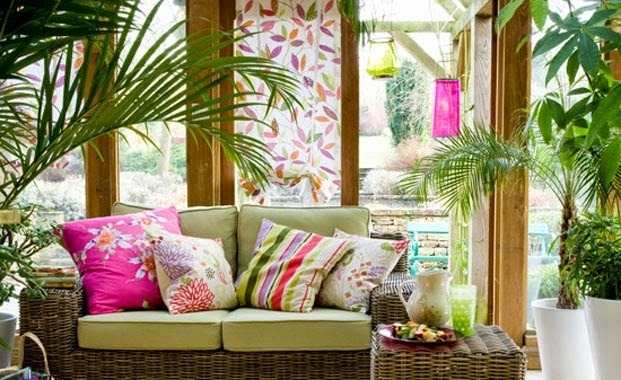 We all know how fantastic conservatories can be for letting in a ton of light in during the summer months, but these benefits can also mean bringing in some fantastic plants to brighten up your home, Bringing the outside in, here are some fantastic Ideas for decretive plants in your conservatory! Beautiful Green plants like these really give off an exotic theme, Mix them with beautiful Bold statement furnishings or even some bold coloured Plant Pots! Keeping the theme natural! 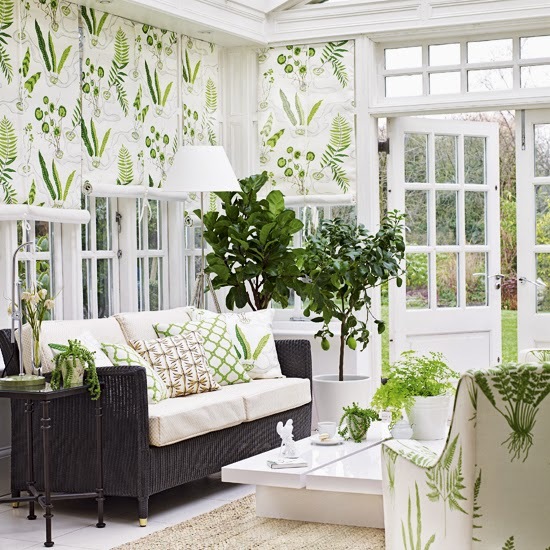 We love this look, with the white sleek Modern furnishings and the green flashes of colour, this is a beautiful look and these stunning plants just add to the room! Fantastic! 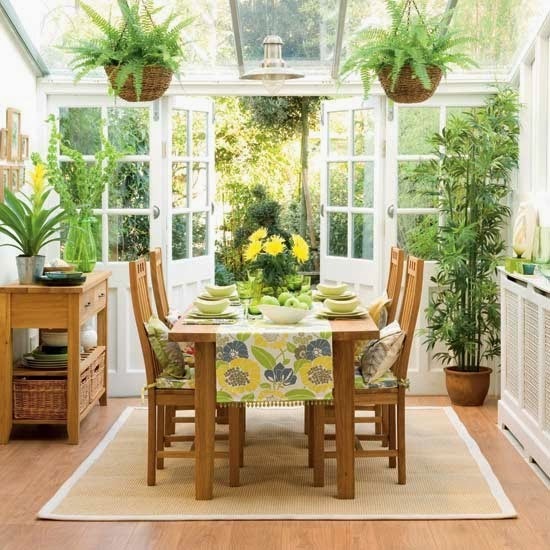 Here we are loving the Splashes of Yellow to compliment the beautiful Yellow Flowers on the table, and they go so well with the greenery of the plants from outside inward! What a beautiful sitting area for your morning coffee!